David Santos is the lead singer/songwriter for Eddie Japan, winners of Boston's prestigious Rock N Roll Rumble and the Boston Music Award for 'Live Artist of the Year' in 2013. Pre-EJ, back in the 90's, he lived and made music in and around PVD. These days, he's also an amazing dad and husband, who calls Northampton, MA home. Read on to get a glimpse of his cool NoHo life. I had been a city dweller for nearly 20 years when my wife’s career took us to Western Massachusetts in 2012. We met and then lived together in Providence for the latter half of the ‘90s, and then moved to Boston, eventually settling in Dorchester after stops in Watertown and South Boston. I never envisioned myself living anywhere but in an urban environment, so I was less than thrilled with the idea of moving to what I thought were the hinterlands of the Pioneer Valley. But after about two weeks out here, I was totally sold. My new hometown of Northampton and the Pioneer Valley have it all: arts, music, culture, farm-to-table dining, a long-history of progressive thinking, and breathtaking natural beauty at every turn. Here are some of the places that have made the last three years in the Valley so enjoyable for my family and me. 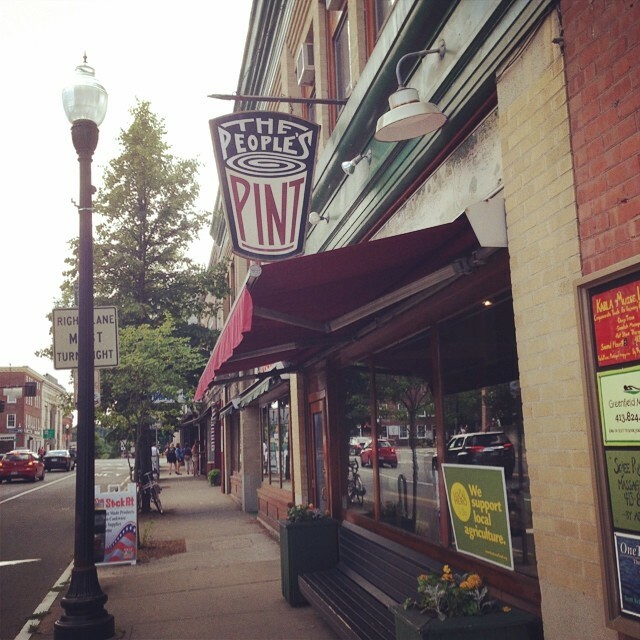 The People’s Pint is quintessential Pioneer Valley. Cool comfort food with amazing beers and a laid back atmosphere, the menu features locally grown organic produce, and the beer is brewed nearby in the restaurant’s own brewery. There is usually a wait, but I never mind because beer! The Pied Piper IPA and the Oatmeal Stout are highly recommended! I’ve been trying to go full-on vegan for years, and every time I come here, I feel as though I get a bit closer. They serve no animal products, and they also serve things that aren’t even on the menu. I once had a craving for oatmeal, and even though it’s not a menu item, they made me the best bowl I ever had. Great coffee, baked goods, salads, soups and sandwiches, too. Self-serve fro-yo with an endless variety of toppings, you’ll find my son August and me here every Wednesday at 5:00. We’ve become great pals with owner Kim Greenhalgh Wilson, who seems to know just about everyone in the Pioneer Valley – including Rachel Maddow. Swoon! When my wife wants to get me the perfect birthday or Father’s Day gift, she beelines it here. With brands like Theory, Naked & Famous, and Tailorbyrd, it’s like Soho in downtown Noho. Manager Michael Morin is model-handsome and as stylish as they come, but don’t be intimidated. He’s also friendly and helpful, and always takes the time to make sure my wife leaves with something I’ll love. As the singer in a band, I’m always looking for unique clothes to wear on stage. 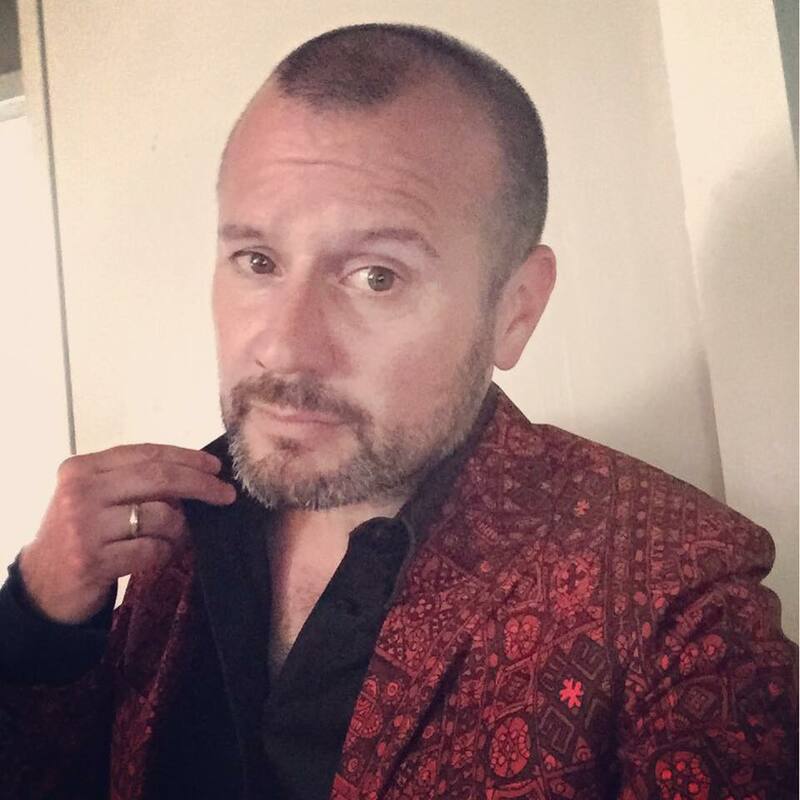 I recently picked up a 1960’s batik blazer (see photo) here that fit perfectly, which is rare when one is a 37 short! Retro Genie owner Jeanne Mulvey has created the best vintage shopping experience in the Valley or anywhere else. Along with clothing, the store features furniture, barware, vinyl LPs, and all sorts of awesome oddities from the past. And Jeanne’s incredibly handsome rescue dog Fergus will give you big kisses on the face free of charge. When my wife and I want to kick “date night’ up several notches, we book a one-hour hot tub and a couples massage. 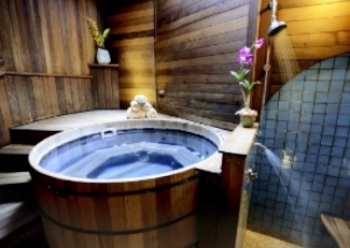 Modeled after a Japanese bath house, East Heaven is serene, clean, and the definition of relaxing. It helped get us through the endless winter of 2015! Part vintage guitar repair and sales shop, and part nightclub, Luthier’s Co-Op offers live music in an intimate environment. This listening room is a favorite with local musicians who want to connect with an audience without having to compete with lots of chatter and clatter. You could easily spend years exploring the outdoors of Western Mass. For big fun, there is Berkshire East, which offers skiing and tubing in the winter, and canopy tours via zipline in the warmer months. They also recently added North America’s longest mountain coaster!